Chinese apps like Tiktok and WeChat make inroads into the US, and American companies start to copy their features. Fintech analyst Sara Hsu says fierce domestic competition makes those apps better than what we know outside China, as younger generations like their lives through apps. 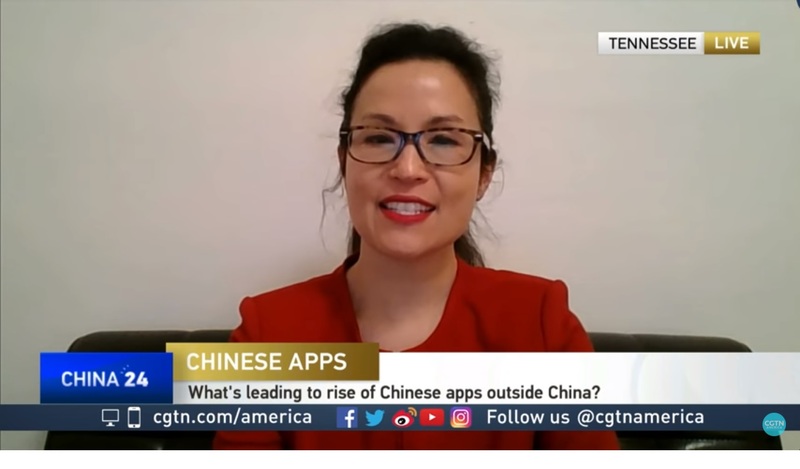 So, if they do well, they can cater for much more than only chitchat, she tells at CGTN. Sara Hsu is a speaker at the China Speakers Bureau. Do you need her at your meeting or conference? Do get in touch or fill in our speakers’ request form.